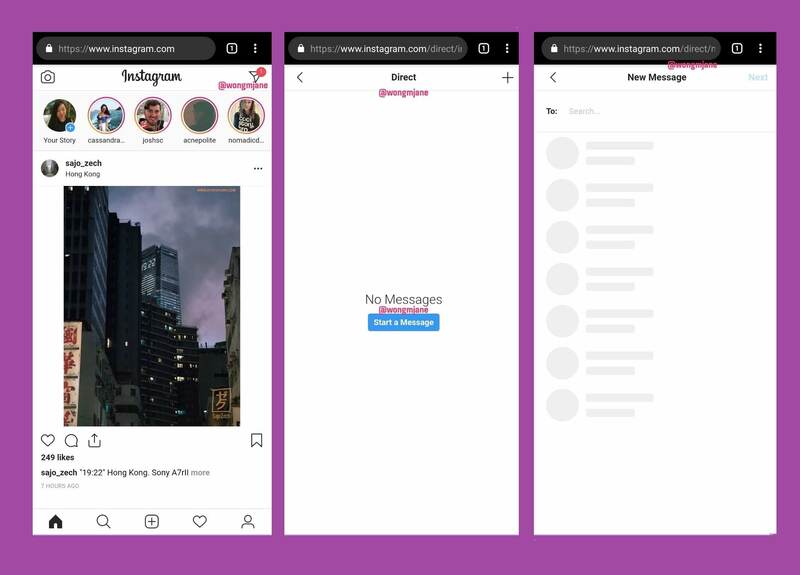 According to app researcher Jane Manchun Wong, Instagram is currently testing the direct message feature on the mobile web and desktop. Presently, the users are limited to only basic functions of Instagram on the web. The users also complain of having no built-in way to add new videos and photos while the servers are also slow, especially when compared to the mobile app. In fact, Instagram also agreed to give users limited capabilities on the web by stating that they have no plans to allow photo or Stories upload from the desktop. Browser notification for the same was also added only last September. However, the introduction of direct messages on the Instagram web will bring a significant change to its platform and just like the other users – we are also waiting for the update. Although the timeline for the new feature is uncertain but several factors indicate that changes are on the way. Firstly, Instagram recently launched the Direct messaging app that began testing in six countries in 2017. Facebook is also arranging to combine the DMs of Messenger, WhatsApp, and Instagram on a single platform and we assume that the move is also in line with the plans. Upon inquiring by The Verge, an Instagram spokesperson claimed that the company is not yet publicly testing the feature.